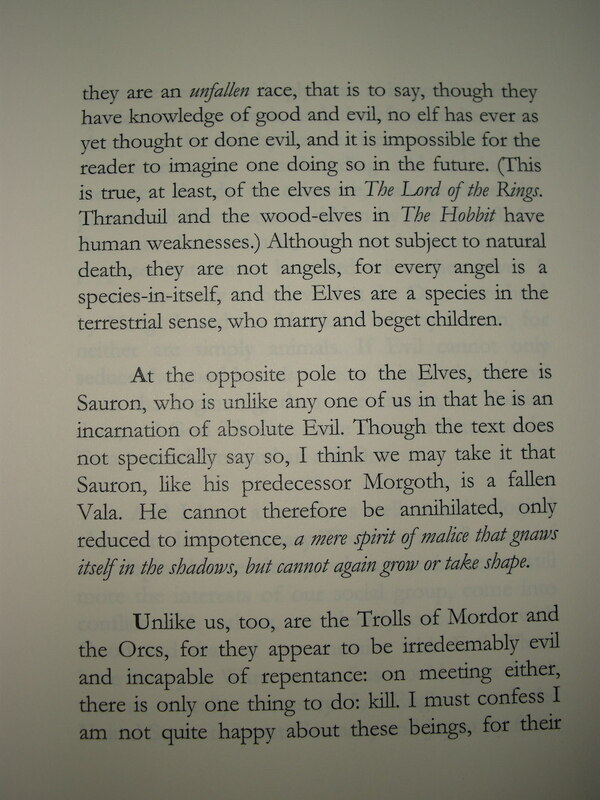 Good and evil in the Lord of the Rings by W.H. 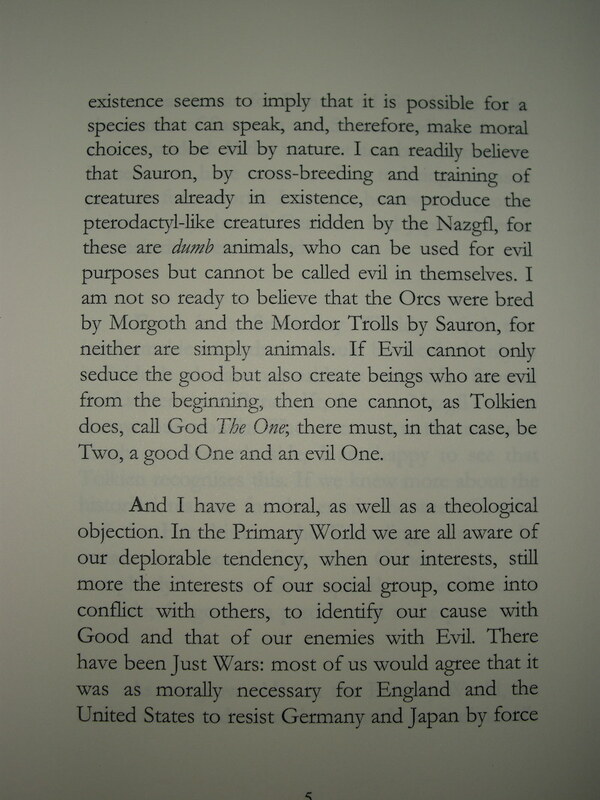 Auden, Oxford, 1993. 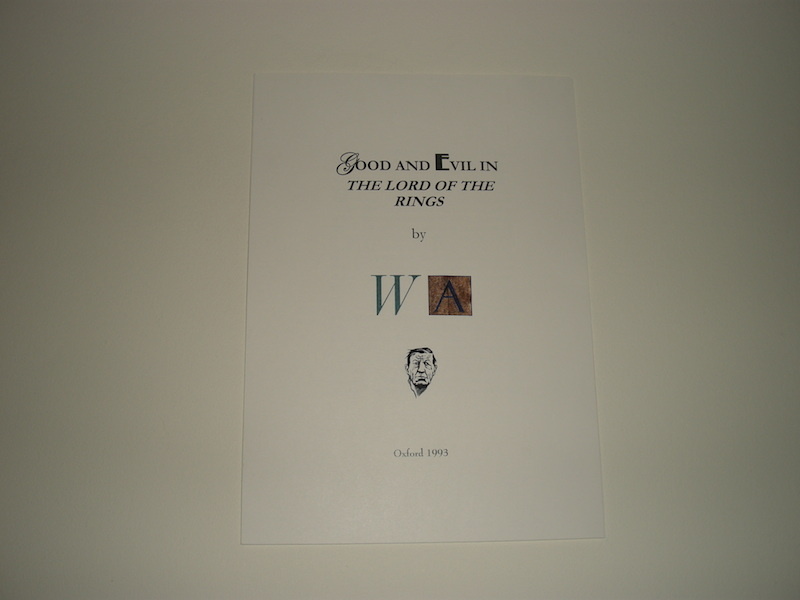 Issued originally as free insert for the 1992 catalogue Tolkien and Friends number 4, issued on the occasion of the centenary celebrations at Keble college, Oxford. 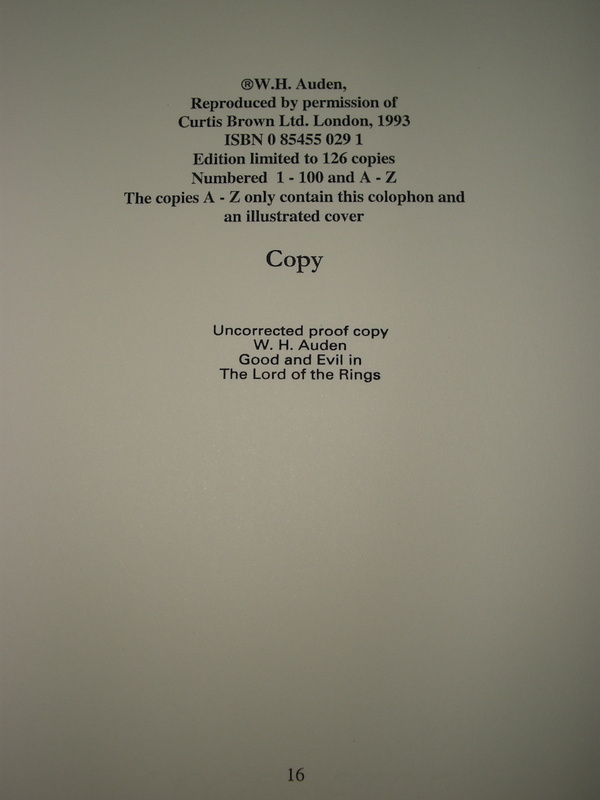 There were 26 copies marked A - Z for friends of the publisher, never made available in the trade. 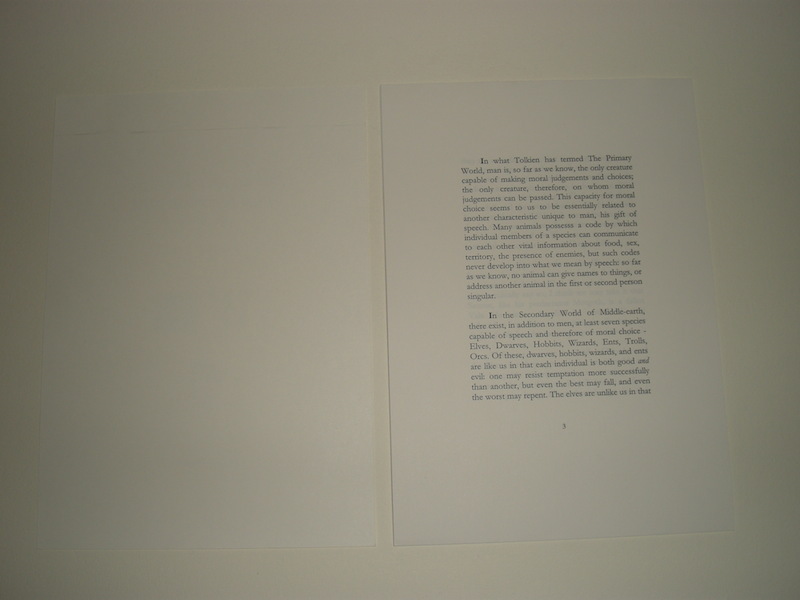 A-4 with front cover in 3 colours (initials W and A) on conqueror paper, 16 pages. 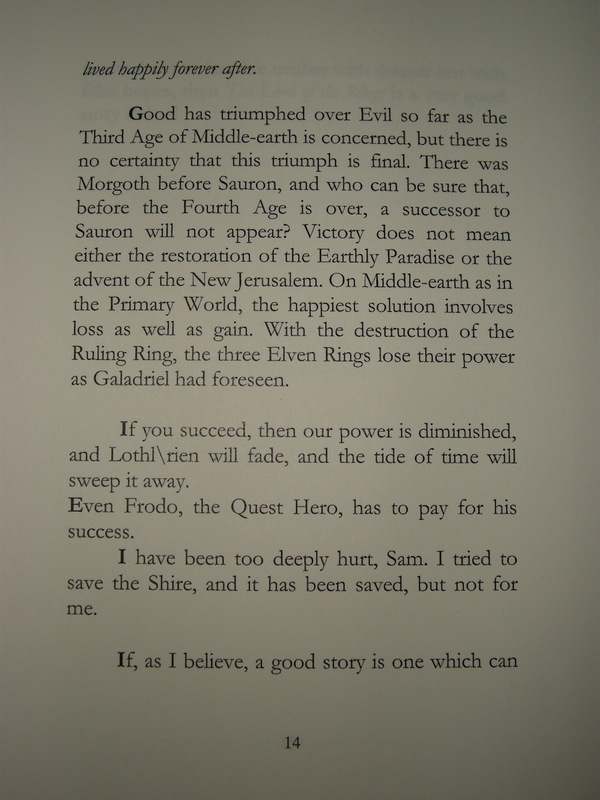 This edition has a colophon which did not appear in the regular edition. 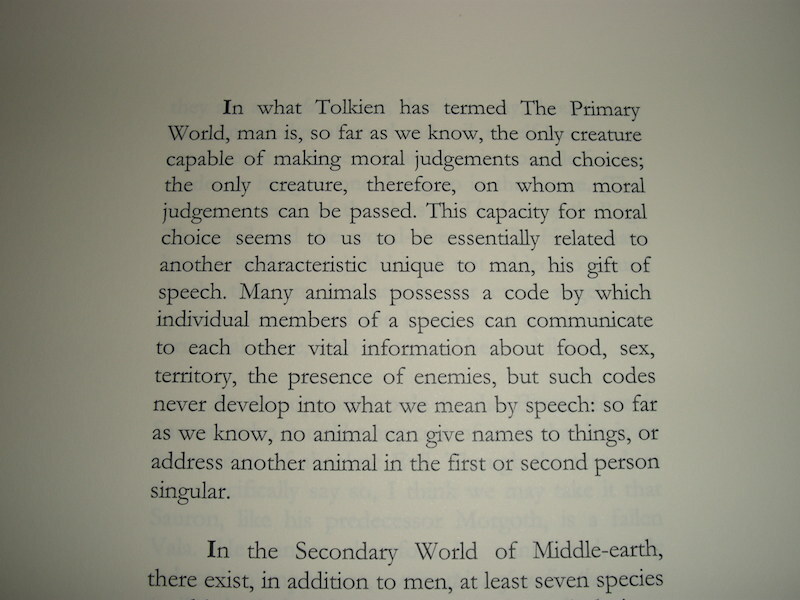 Actual year of publication was 1992. 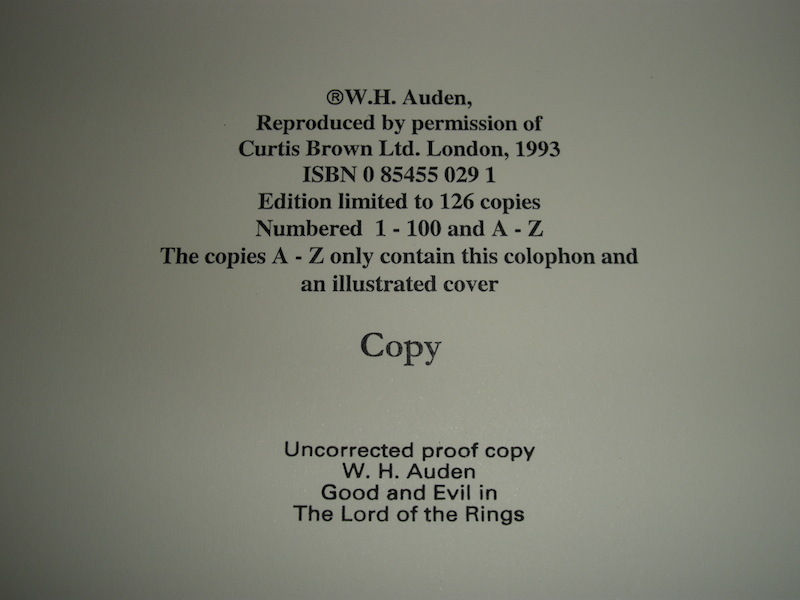 This copy in loose sheets is stamped below the colophon: Uncorrected proof copy followed by the title: W.H. 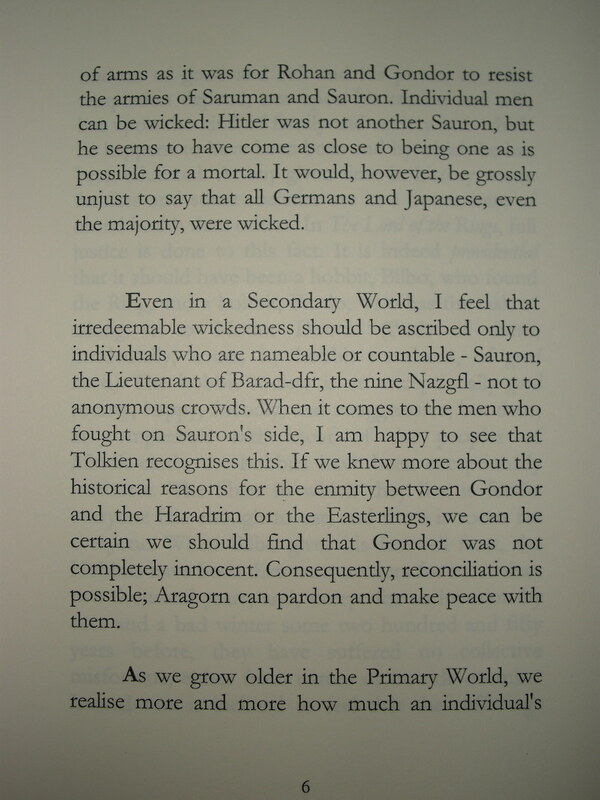 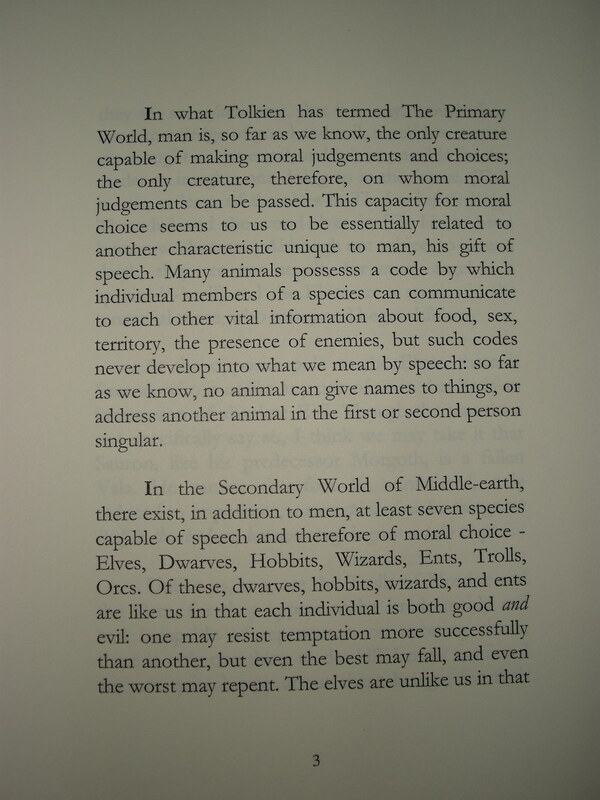 Auden, Good and Evil in The Lord of the Rings.